Comment: New home in Hibbard with the option to do 1-2 more homes in the same subdivision. Full daylight basement. Comment: I am a roofing contractor, assisting a client with a request outside our expertise. The current roof structure is a 12/12 pitch hip-style roof with small hips on the ends of the house. The homeowner wishes to change these ends to gables. Comment: it's a small, simple repair. In order for our new fridge to fit into its necessary space, two cabinet doors need to be cut off and an opening slightly extended, by using a router so it blends with the existing cabinetry. It is only about 6-8 inches of routing, but it needs to be done by someone skilled. Comment: We have a leaking front window. House is three years old. It could be roof? The window is on the front under the porch. Comment: I need help in erecting a Lowe's Pergola Product and also creating a freestanding pergola. Would like opinion and help in design and build. Two separate projects. Neither are particularly complex or difficult but I want a professional to help me. River Valley Trim and Construction, Inc.
Rexburg Carpenters are rated 4.72 out of 5 based on 66 reviews of 16 pros. 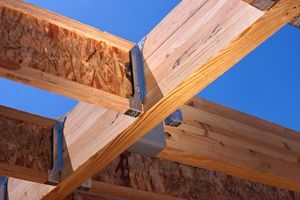 Not Looking for Carpenters Contractors in Rexburg, ID?